Moravia Store celebrates 125 years. It seems that a lot of businesses nowadays enjoy touting themselves as being locally owned and operated – but few can brag that they are locally owned, operated, and have been in business for 125 years with only one brief interruption. The owners of Moravia Store can proudly make that claim. 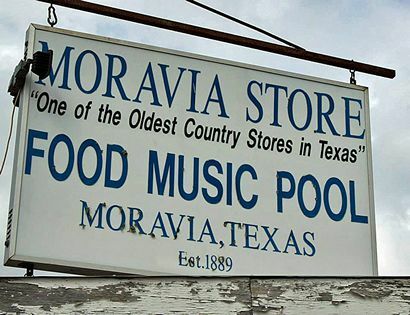 Aptly named after the community where it is located, about 14 miles north of Hallettsville on FM 957, Moravia Store has been in existence on the same spot for 125 years, and there was a celebration on Saturday (May 10, 2014) at the store to honor that anniversary. Owners Franklin and Henrietta Filip made the event special by joining with the South Texas Wheel Spinners & Crank Twisters to put on a tractor show that featured some rare antique machines as well as many that are still in use today. And it just wouldn’t be a party in Moravia unless some good Czech music was in play. Live tunes were provided by Chris Rybak in the afternoon – Mark Halata and Texavia performed later in the day. To understand why this 125th anniversary was something special to celebrate, it’s important to know a little about the history of Moravia Store – that history goes back nearly to the beginning of the community itself. 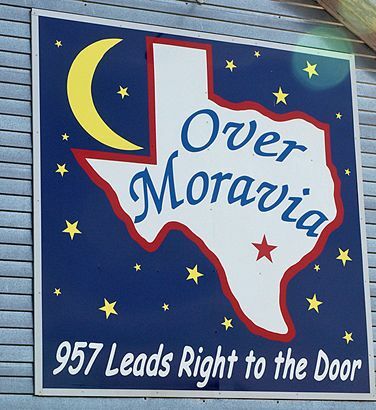 Moravia was founded in 1881 after Ignac Jalufka and Jakob Hollub brought their families to this part of Lavaca County. 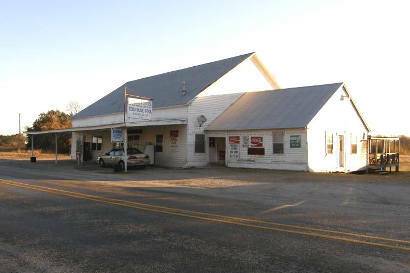 Information found on the historical marker near the store indicates that the first buildings in the community were a cotton gin, blacksmith shop, and a school. 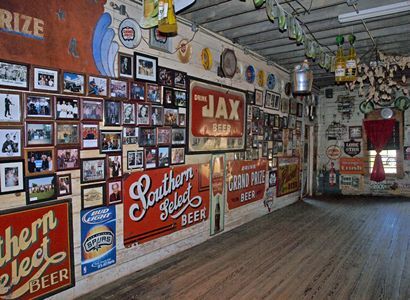 In 1889 Jalufka constructed a two-story building to house a saloon and grocery store – the second floor served as a dancehall. From 1891 to 1900, the building also functioned as the local post office. That structure is what is known today as Moravia Store. Over the years, changes were made to the original building. Around 1930, the second floor was torn down leaving the one-story Moravia General Store. It’s interesting to learn how the store changed hands up until the time Henrietta Filip purchased it. After Ignac Jalufka died, the business was inherited by Agnes Jalufka. She sold the store to Annie Chromcak and Lillian Blahuta. Chromcak eventually sold her part to Lillian and Frank Blahuta. Moravia Store stayed in the Blahuta family until 1996 when it was purchased by Henrietta. The store has only ceased to operate one time in 125 years. It was closed from 1990 to 1996. L to R - Keith Pilat, Henrietta and Franklin Filip. When they have special events such as the 125th year celebration, family members and friends pitch in to help. 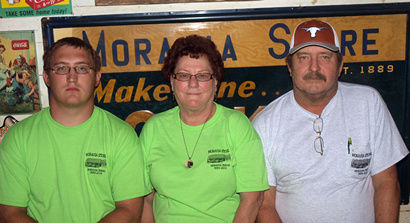 There’s absolutely no doubt that Moravia Store is a family operation through and through. "One of the Oldest Country Stores in Texas"
Henrietta said that they are trying to get to a point where they can have bands performing once or twice a month. The best way to keep up with their schedule is to watch their Facebook page or just give them a call at 979-562-2217. The store is open every day except Tuesday and Sunday. They will open, however, for special events on Sunday but they are positively closed on Tuesday. Henrietta said the store can also be booked for weddings, receptions, rehearsal dinners, birthday parties, and anniversaries. 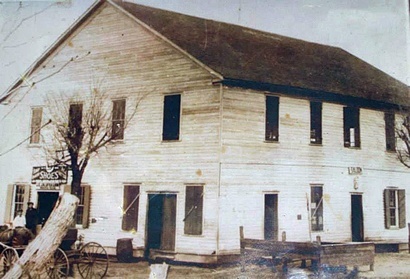 The old store at Moravia is an icon of Lavaca County and a tribute to the first pioneer families who came here. They were people who took pride in their community and that sense of pride lives on in their descendants.